Why do we maintain your website? We know that you don’t have time to maintain your website, right? But at the same time you want your visitors to see updated content, always. The only solution to this problem is hiring a web designer who can maintain your website regularly. This is where we come and help our clients to update and enhance their websites as and when required. Because you want your website to look better with updated content, fast loading speed, higher chances of search engine rankings, nice graphics, ability for your customers to contact you. Fixing the issues & bugs on your website. Updating current design or features on your website. Adding new design or features on your website. Removing broken link and non-working pages from your website. Adding, changing or removing pdf files, documents or videos on your website. Updating & adding contents and images on your website. Optimizing your meta keywords, page titles, or descriptions for search engines. Generating & submitting a sitemap for search engines. Managing products on your ecommerce website. Adding posts to your website blog. Fixing & maintaining the loading speed of your website. Regular backups of your website. Fixing mobile responsive version of your website. Why Innomax for your website maintenance? We have more than 10 years of experience in web development and we have helped hundreds of businesses to establish their strong online presence through their websites. When you hire our web developers team, you can be assured of great quality & support. We work very closely with our clients and make sure that they are 100% satisfied with their websites. You can always expect a reasonable quote from us because we strongly believe that if we provide affordable web design services & have more happy clients, we will always get more business from them. 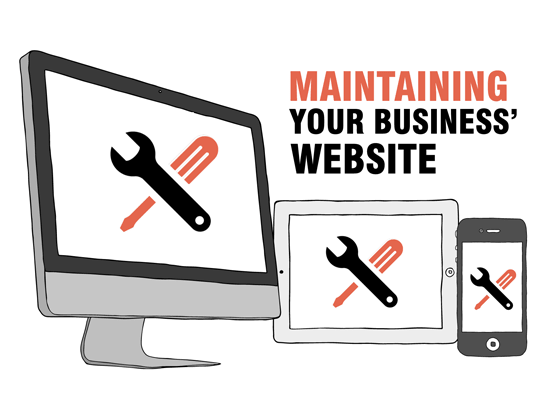 Let Us Maintain Your Website!